Welcome to Hickman Overhead Door Company. 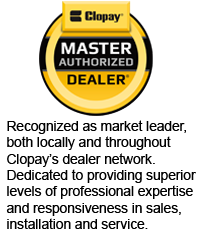 We are proud to be a Master Authorized Dealer for both Clopay building products and LiftMaster electric garage door openers. Based in Milford, DE, we service the entire Delmarva Peninsula. With over 30 years of experience, you can be assured Hickman Overhead Door can meet your garage door needs. Hickman Overhead Door has been providing quality garage door products and services to Delaware and the entire Delmarva Peninsula for more than three decades. We have partnered with leading manufactures to bring you the finest products in the industry, and back them up with outstanding product knowledge and customer service. In addition to Clopay® garage doors and LiftMaster® openers, we also sell and service guttering systems, central vacuum systems, storm doors and replacement windows.